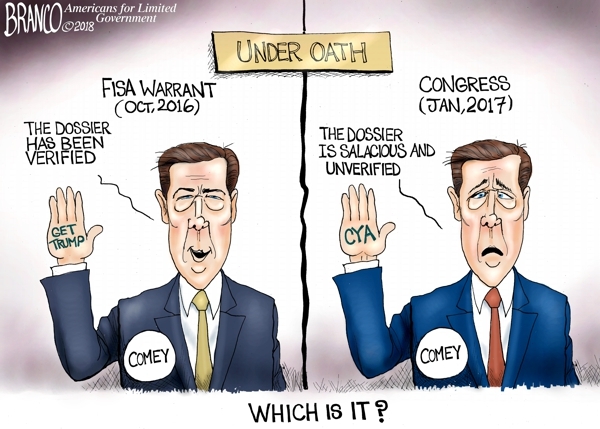 Comey | What Did You Say? 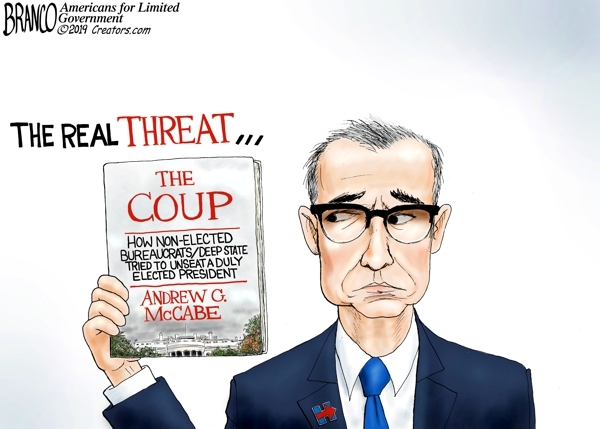 Andrew McCabe along with many others in the deep state actually tried to overturn a duly elected president. 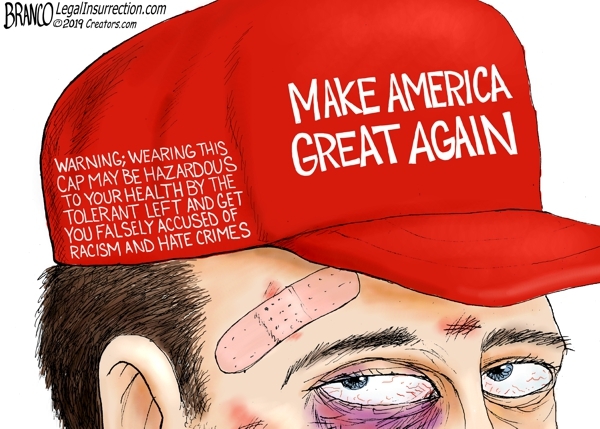 Caution; according to the latest reports, wearing a Red MAGA hat can be hazardous to your health, and you are more likely to be falsely accused of racism and hate crimes. A.F. 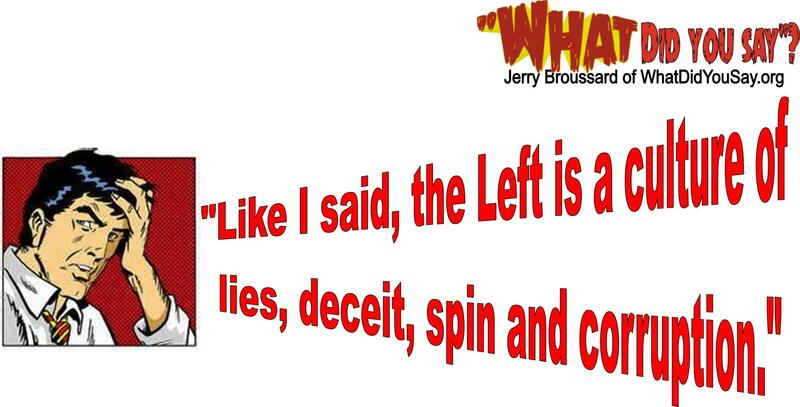 Branco has taken his two greatest passions, (art and politics) and translated them into the cartoons that have been seen all over the country, in various news outlets including “Fox News”, MSNBC, CBS, ABC and “The Washington Post.” He has been recognized by such personalities as Dinesh D’Souza, James Woods, Sarah Palin, Larry Elder, Lars Larson, and even the great El Rushbo. Also Recently noticed and re-posted by President Trump. The Saturday Document dump proves Comey lied under oath in regard to the dossier. On Monday James Comey, the fired FBI Director, refused to appear before Congress to discuss his handling of the Clinton email investigation. The senate Judiciary Committee was investigating into the inspector general’s report with details in Mr. Comey’s handling of the Clinton investigation. Comey has even been caught lying about his current location. His lawyer said he was out of the country, but Mr. Comey was recently spotted by a committee chairman in Iowa over the weekend. Looks like Comey is digging himself into a pit of disaster. Additionally, Comey’s fired deputy, Andrew McCabe says he pleads his Fifth Amendment rights against self-incrimination. Loretta Lynch also failed to show up for an important hearing. 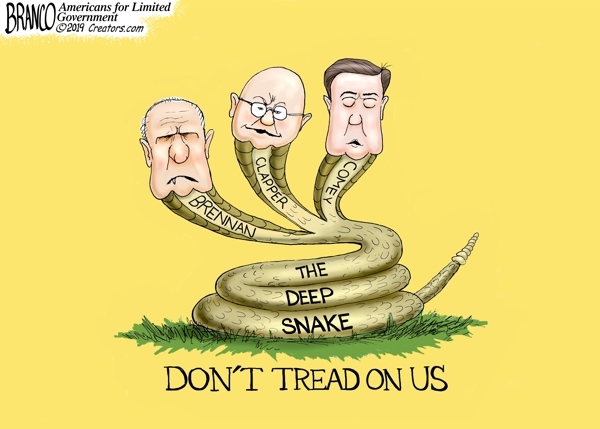 It seems like the entire group of anti-Trump conspirators got cold feet and failed to testify before the House Intel Committee. For these reasons, we urge this Committee to apply for a Court order compelling Mr. McCabe’s testimony and granting him use immunity. If this Committee is unwilling or unable to obtain such an order, then Mr. McCabe will have no choice but to invoke his Fifth Amendment privilege against self-incrimination. Committee Chairman Grassley ripped into Comey whose lawyer said he was out of the country: “He has time for book tours and television interview, but apparently no time to assist this committee.” Grassley also noted he saw Comey over the weekend in Iowa…OUT OF THE COUNTRY? Maybe he’s in Iran with his buddies. The men have given conflicting information in testimony so one of them is lying. McCabe says Comey knew he was giving info to the press… Comey disagrees. The American people are still waiting for these people to be punished for their crimes…waiting. 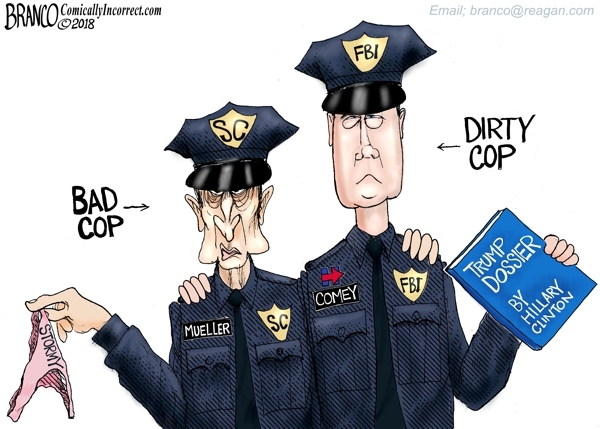 After all efforts by Mueller, Comey, Clapper, Brennen, and the rest of the deep state, there still is absolutely NO evidence trump colluded with Russia. 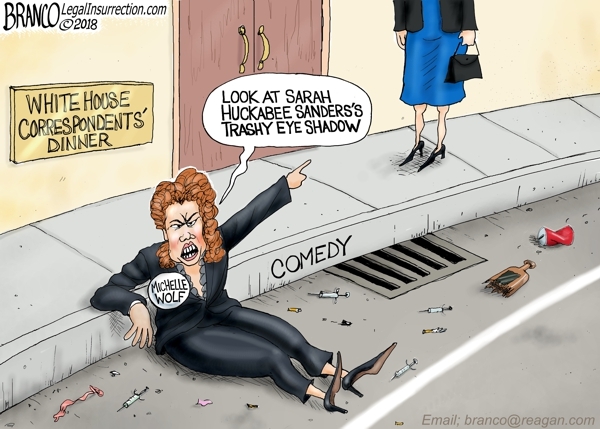 Straight from the gutter, Michelle Wolf’s comedy routine turned to mud thrown at Sarah Sanders during the White House Correspondents’ Dinner. 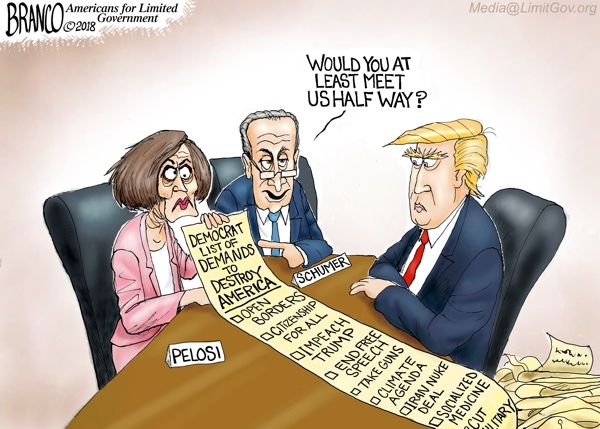 How do you negotiate with people who want to enact policies that will literally destroy America? You don’t. 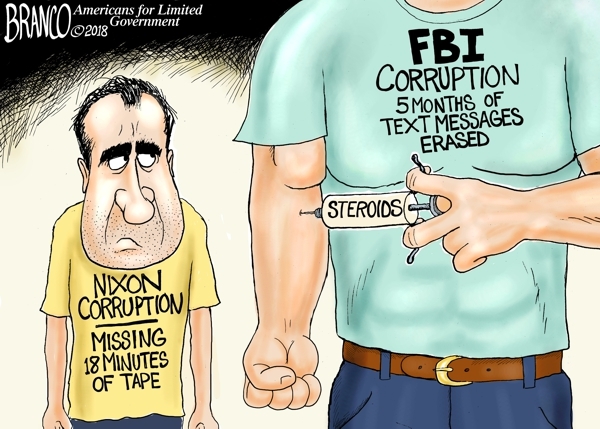 Many are saying the FBI missing text scandal is the Watergate scandal on steroids. 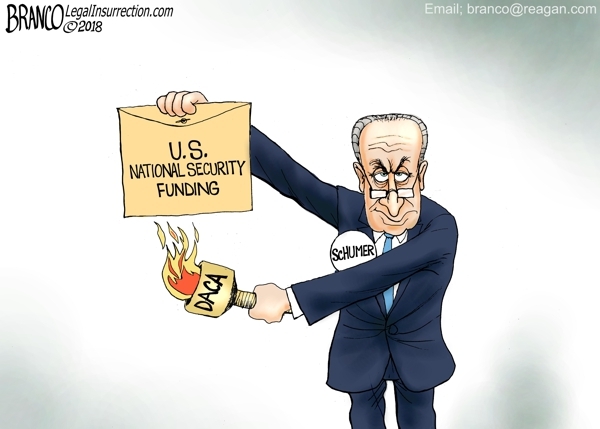 Hostage taker Schumer has absolutely no reason not to Shutdown the government knowing that, as usual, the Republicans will get the blame.